Khalil Gibran Muhammed gives his keynote address "No Reparation without Racial Education: Martin Luther King on the Tyranny of Ignorance" for Bates College's "Reparations: Addressing Racial Injustices" program at the Peter J. Gomes Chapel on campus in Lewiston on Martin Luther King Jr. day Monday morning. 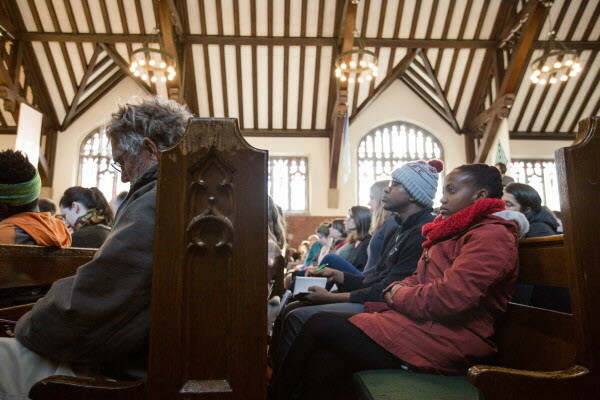 A young girl listens to Khalil Gibran Muhammed give his keynote address "No Reparation without Racial Education: Martin Luther King on the Tyranny of Ignorance" for Bates College's "Reparations: Addressing Racial Injustices" program at the Peter J. Gomes Chapel on campus in Lewiston on Martin Luther King Jr. day Monday morning. 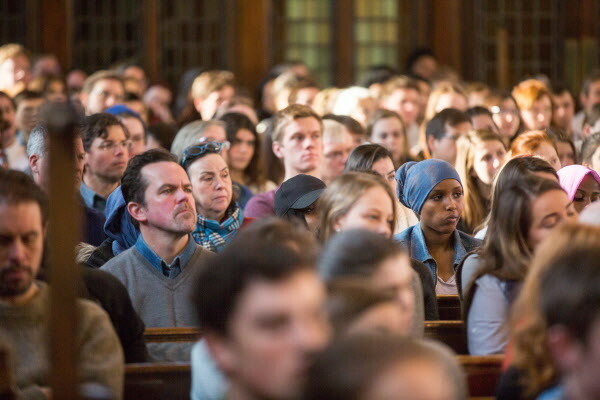 People listen as Khalil Gibran Muhammed gives his keynote address "No Reparation without Racial Education: Martin Luther King on the Tyranny of Ignorance" for Bates College's "Reparations: Addressing Racial Injustices" program at the Peter J. Gomes Chapel on campus in Lewiston on Martin Luther King Jr. day Monday morning. A woman smiles and nods as Khalil Gibran Muhammed gives his keynote address "No Reparation without Racial Education: Martin Luther King on the Tyranny of Ignorance" for Bates College's "Reparations: Addressing Racial Injustices" program at the Peter J. Gomes Chapel on campus in Lewiston on Martin Luther King Jr. day Monday morning. 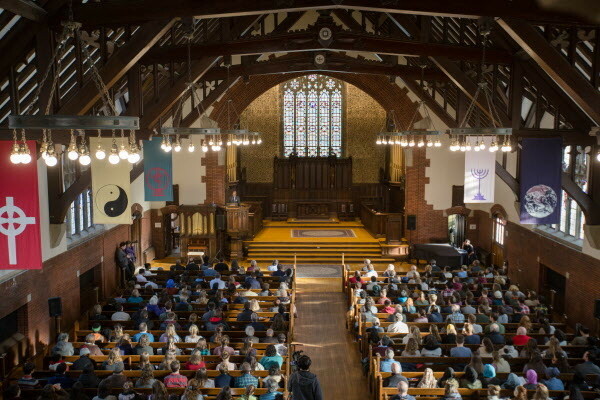 Khalil Gibran Muhammed gives his keynote address "No Reparation without Racial Education: Martin Luther King on the Tyranny of Ignorance" to a crowded Peter J. Gomes Chapel at Bates College on Monday morning for their Martin Luther King Jr. day programming "Reparations: Addressing Racial Injustices." 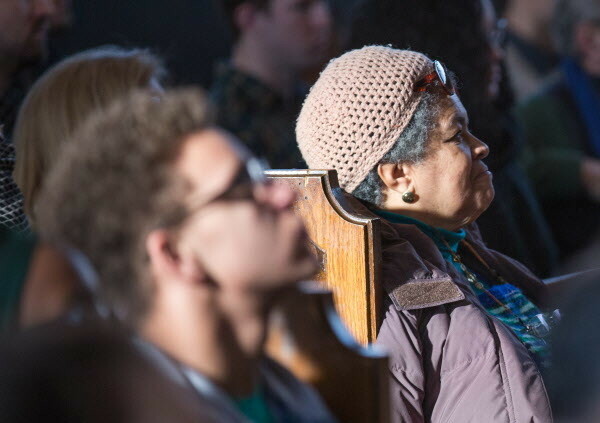 A woman closes her eyes as she listens to Khalil Gibran Muhammed give his keynote address "No Reparation without Racial Education: Martin Luther King on the Tyranny of Ignorance" for Bates College's "Reparations: Addressing Racial Injustices" program at the Peter J. Gomes Chapel on campus in Lewiston on Martin Luther King Jr. day Monday morning. 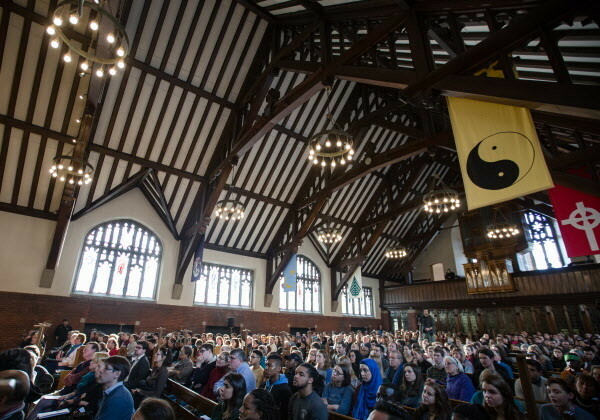 People crowd the Peter J. Gomes Chapel at Bates College on Monday morning to listen to Khalil Gibran Muhammed give his keynote address "No Reparation without Racial Education: Martin Luther King on the Tyranny of Ignorance" for Bates College's Martin Luther King Jr. day programming "Reparations: Addressing Racial Injustices." A high school racial inustice group goes up to meet Khalil Gibran Muhammed after his keynote address "No Reparation without Racial Education: Martin Luther King on the Tyranny of Ignorance" for Bates College's "Reparations: Addressing Racial Injustices" program at the Peter J. Gomes Chapel on campus in Lewiston on Martin Luther King Jr. day Monday morning. 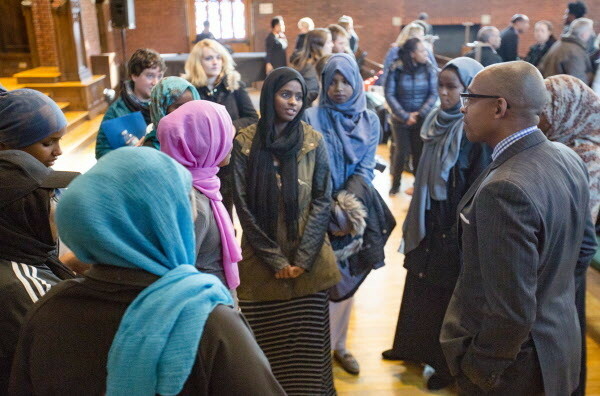 LEWISTON, Maine — Americans who fail to acknowledge the role racism has played in shaping U.S. history and culture miss the true legacy of Martin Luther King Jr., scholar and author Khalil Gibran Muhammad said in Maine on Monday. Muhammad’s remarks took on added significance, just days before Barack Obama, the nation’s first black president, leaves office to be replaced by Donald Trump, who on Saturday castigated Rep John Lewis, D-Georgia, who helped organize and lead marches with King, the civil rights leader honored by Monday’s federal holiday. 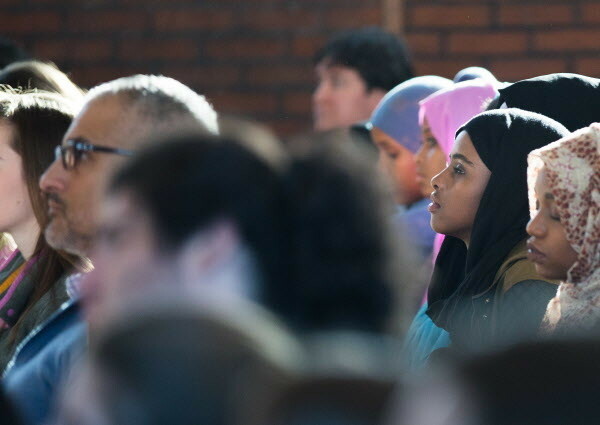 In 16-year-old Hodan Musse, Muhammad’s words roused a sense of determination to fight even harder against the injustice she encounters every day. 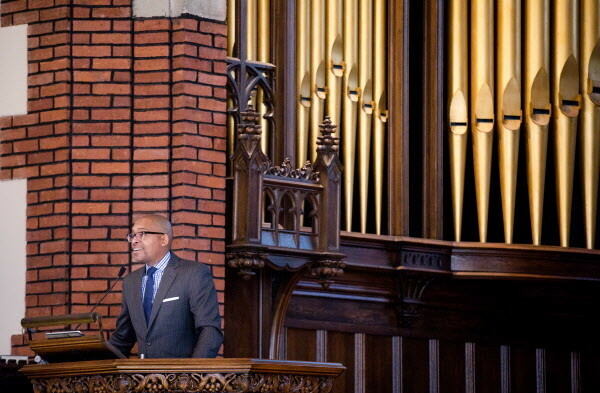 Musse was one of a number of Lewiston High School students to join the Bates community and others in Gomes Chapel for the keynote address during Bates’ commemoration of Martin Luther King Jr. Day. 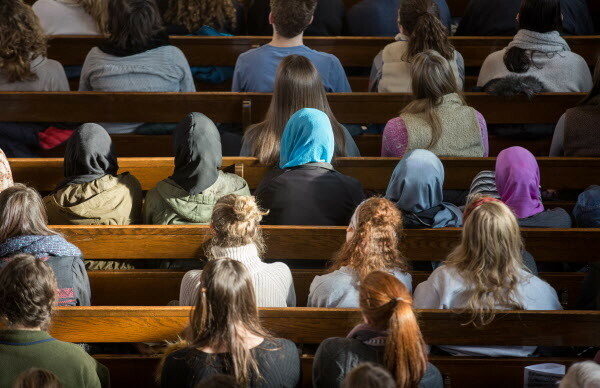 But even today, textbooks and curriculum continue to exclude significant contributions by African Americans, he said, leading to citizens who are not historically literate. 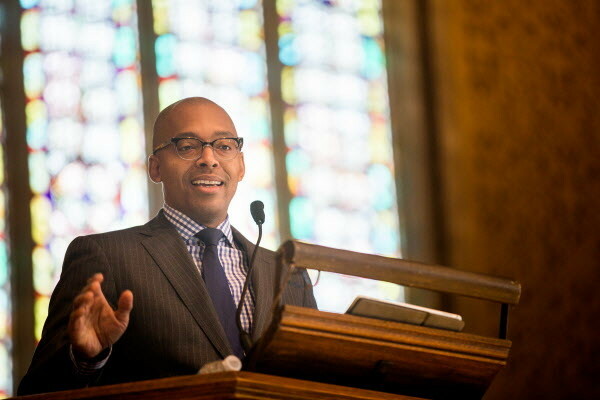 He spoke Monday as part of Bates’ commemoration of Martin Luther King Jr. Day, an event that also includes a debate between teams from Bates and Morehouse College. Musse said she’s attended Bates’ program marking this holiday for years. “It’s a day to remember what happened in the past shouldn’t be repeated,” she said. But fellow Lewiston High student Amina Aden, 17, said that Trump’s impending inauguration on Friday is a sign that that’s exactly what’s happening. “We came so far, and then this year we kind of crashed and failed,” Aden said. 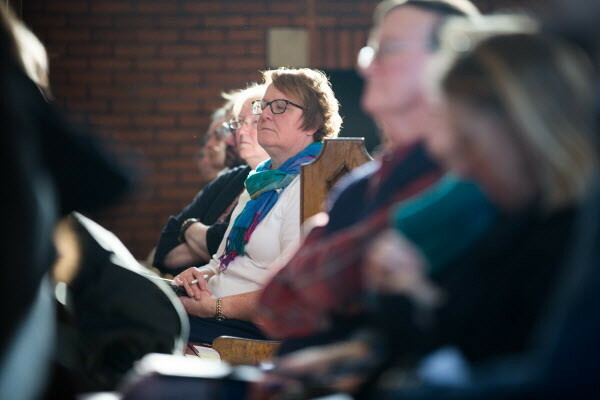 “It’s like history is repeating itself,” Musse said.